Boogie on down to The MoonWalk London's DISCO INFERNO! Get Saturday Night Fever on 11th May 2019 with thousands of women and men at breast cancer charity Walk the Walk’s iconic challenge. Moving and grooving through the streets of London at night wearing your funky decorated bra under the big glitter ball in the sky. With a theme of all things disco, you and your friends will have a night to remember at The MoonWalk London Experience, raising money and awareness for breast cancer. 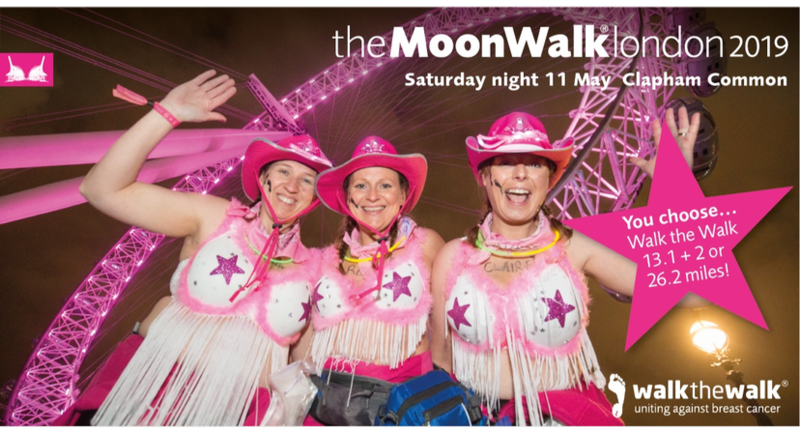 So don't miss out on a challenge like no other, sign up now to Walk the Half Moon (13.1 + 2 miles) or Full Moon (26.2 miles) at walkthewalk.org/moonwalklondon. All participants must be aged 13 and over to take part, the cost of entering is £49.50 and Walkers are asked to raise a minimum of £100 in sponsorship.